Now Live: $200 Off on Nikon D850, Up to $400 Bonus on Z6 & Z7 Trade-In Offer ! 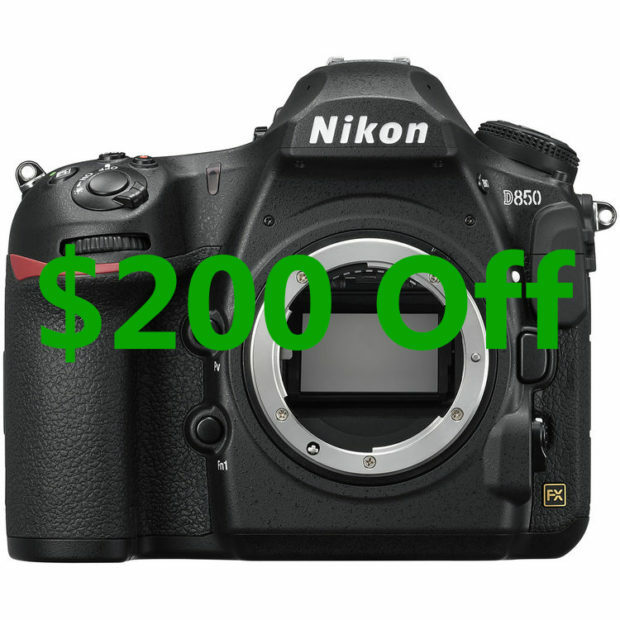 Nikon USA has just released a new instant rebates on Nikon D850 DSLR camera and Nikon Z6 & Z7 trade-in offer. You can get $200 off on Nikon D850 body at B&H Photo/Amazon/Adorama. And you can trade in any working digital interchangeable-lens camera and get up to $400 bonus in addition to your trade-in value towards a Nikon Z mirrorless camera at B&H Photo Video/Adorama/Focus Camera. These deals will be end of March 31, 2019. Author adminPosted on January 27, 2019 January 28, 2019 Categories Nikon D850 Deals & Cheapest Price, Nikon Deals, Nikon Full Frame Mirrorless Camera, Nikon Z6 Deals & Cheapest Price, Nikon Z7 Deals & Cheapest PriceTags Price Drop, Trade-InLeave a comment on Now Live: $200 Off on Nikon D850, Up to $400 Bonus on Z6 & Z7 Trade-In Offer ! First offer for the new released Nikon Z6 & Z7 full frame mirrorless cameras now already available online. 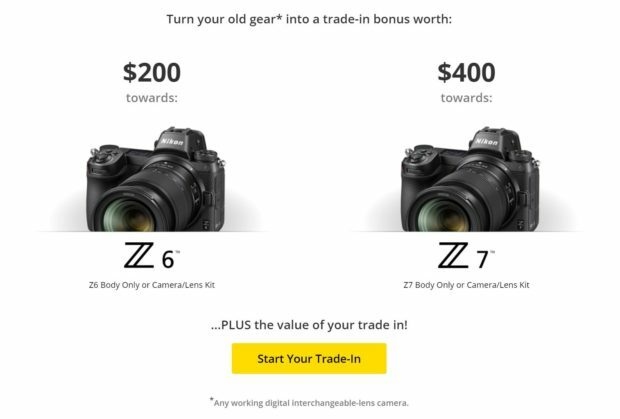 You can trade in any working digital interchangeable-lens camera and get up to $400 bonus in addition to your trade-in value towards a Nikon Z mirrorless camera. Note: This trade-in offer hasn’t start yet, it will be available on January 27 through March 31, 2019.